They say never work with kids in the movies – but if you’re a super creative dad of a super energetic, adventurous three-year-old, the results can be amazing. 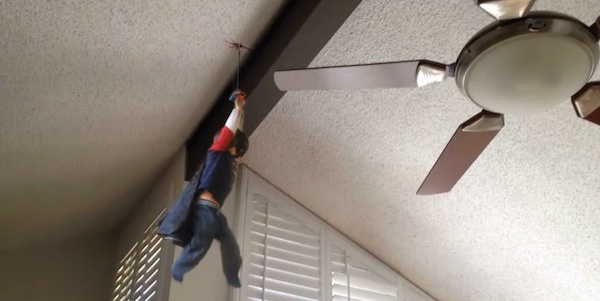 Cue Action Movie Kid – a YouTube channel of home videos bursting with amazing visual effects that have brought both dad and son instant fame and millions of views. Lightsabers, lava on the lounge room floor, child-swallowing puddles and explosions galore – the videos are a child’s wildest imagination come to life. Of course, it helps when your dad is Dreamworks visual effects artist Daniel Hashimoto. He told website Graymachine he initially made the videos as “something more interesting than the standard kid video posts” for his friends on Facebook. 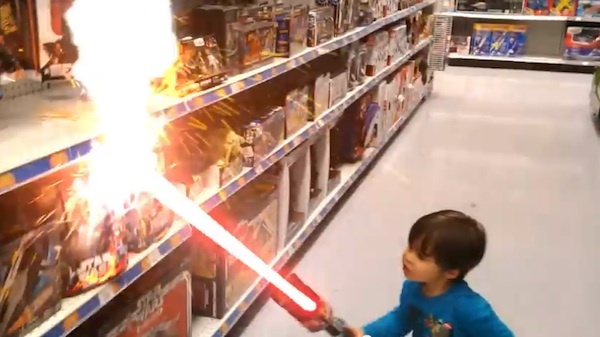 But they took off with a vengeance – his lightsaber video has more than seven million views. The first was a Matrix-style video, made after son James spent a morning pretending to be Iron Man. “I snuck video of him with my iPhone, added the effects and the rest was history,” he told Graymachine. As for working with children? Hashimoto says he never tries to stage videos, but rather encourages creative playtime and has his phone at the ready. And the best part? Hashimoto is working on a YouTube channel that will teach others how to create their own super-charged videos.